When moving to a new location, there’s so much for you to consider. Besides the home itself, you need to reflect on the local schools, the commutes to work, the local shopping/dining/entertainment options and the crime/safety rate in your new town or city. You should also consider the home’s water supply. Though we often take advantage of our water consumption, water pollution is on a rise in many areas. Finding out where your new home receives its water from will determine your next steps in making sure it’s as sanitary as possible. Ask the current homeowner if the home receives city water or well water and where the majority of the neighbors receive their water from. Most large cities are required to send an annual report of the area’s water quality. Ask the homeowner if he or she has a copy. You might also find a copy on the city’s website. The sanitation value of city water depends on where your city receives its water from. City water varies in sanitation all across the country. If the sanitation is poor in this area, you may want to consider a filtration system. The positive side of receiving city water is its reliability. City water will rarely run out, and it’s regularly tested so you know what’s in it and how safe it is to drink. The sanitation value of well water also varies, depending on the type and age of the well. If this home contains a well system, ask the owner how old it is and how it was built. 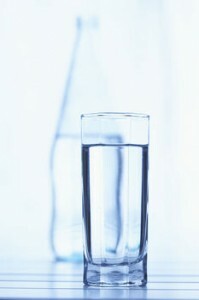 Popular opinion states that well water tastes better than city water and it contains no additives, such as chlorine. However, no one can test the sanitation of the well water, so the responsibility is in your hands. Well water often needs a water softener and can also incorporate a filtration system. 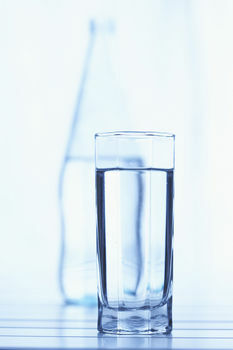 A whole-house water filter can be used on wells or municipal water. It removes mostly sediments, rust and chlorine from water. They feature a long lifespan without much maintenance. However, many water pollutants are not removed with whole house filters, such as VOCs and metals. A reverse osmosis water purification system can remove 90-99 percent of all water contaminants from city or well water. These will require plumbing adjustments but can be conveniently constructed underneath a sink and out of view. These systems last many years before needing to be replaced. Filters can also be mounted onto a countertop or under the sink. These countertop/under-sink filters filter large amounts of water at a time. The filters under the sink are out of view and the countertop filters don’t require any plumbing work. A faucet-mounted filter attaches directly to a sink and can cheaply filter water for drinking, coffee, etc. You can still use unfiltered water for washing dishes and other non-filtered water needs. Filters can be bought from almost anywhere and easily changed. These only filter the sink they are attached to and are ideal for kitchen or bathroom sinks. A carafe fits into your refrigerator and can be filled whenever you’d like filtered water. The filters are cheaply priced but need to be changed often. These containers only fit a small amount of water and need to be refilled regularly.